A key objective for many of our clients is the gaining of a second passport and citizenship by investment of another country. This is a step on from residency and the right to live in a country. It is often the next stage after a period of residency or through higher investment in a golden visa programme. Below we list those countries in Europe and the Caribbean that offer second citizenship and a passport. Note that these are only countries offering such a facility through investment and without the requirement to live full time and become tax resident. Portugal is one of the most popular programmes in Europe. Invest €500,000 in real estate plus related costs and taxes to gain residency. This gives freedom of travel throughout the EU Schengen visa zone. After six years applicants and their families can apply for citizenship and hence a second passport allowing you and your family to travel, work, live and study anywhere in Europe. Spain offers similar costs and benefits to Portugal but with one major difference. It is not possible to get citizenship and a second passport unless you reside in Spain for 10 years full time. 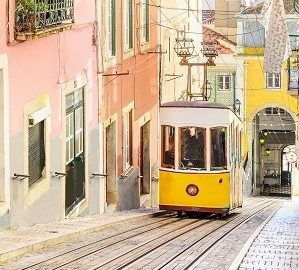 It is why Portugal is currently issuing 2,000 golden visas a year compared to less than 100 in Spain. 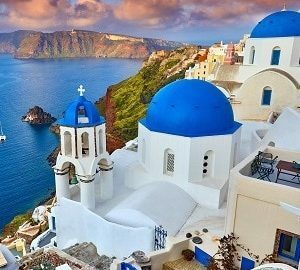 Greece is the most affordable scheme in Europe but clients must be careful of the additional costs and the economic situation. You can gain residency through investing €250,000 in real estate. Taxes and fees on property are high in Greece, as much as 27% on top of the property price. Also the programme in Greece is residency only and does not lead to citizenship and a second passport currently except for applicants of Greek origin. Hungary is a very popular and affordable programme. Invest €300,000 in government bonds which is refunded after 5 years. Costs for the programme are €60,000 for a full family. This grants Permanent Residency in Hungary. Citizenship and a second passport in Hungary can be applied for after 8 years with a language test. Hungary is a member of the EU and Schengen zone which also means visa free travel to the USA and Canada. You gain visa free travel throughout the EU Schengen area and can apply for a European passport after 8 years. Hungary is a straightforward residency programme and in most cases will not require a visit to the country. Bulgaria is the most affordable route to citizenship of the EU. You can gain a second passport in Hungary within 21 months allowing you and your family to live, work, travel and study anywhere in Europe. This can be done for a total investment of €1,024,000 in government bonds which are repaid in full after 5 years. But a big benefit is that these bonds can be financed for a total outlay of €280,000. Although there is no return of capital this significantly reduces the cash outlay and is a popular choice. Costs under either option amount to around €30,000 for a family of 4. Malta has a citizenship programme leading to a second passport within a year. However there are a number of restrictions with Malta, in particular showing ties and commitment to the island, maintaining a property and screening interviews. For those willing to maintain such connections citizenship is available at a total cost of around €1.2 million. But note €650,000 of that figure is a “contribution” to the government. That money is not returned. Cyprus is the ultimate choice for High Net Worth individuals seeking a second passport. Investment of €3 million in a real estate portfolio gains a Cypriot and hence European passport within 2-3 months. This investment can be reduced to €500,000 after 3 years. An interesting fact for Cyprus is that a single investor is normally €5 million under government rules. However La Vida has the access and ability to group submit a minimum five applications regularly. Under this arrangement the investment requirement reduces to €3 million. There are currently four programmes in the Caribbean offering citizenship, a second passport and visa free travel to many countries worldwide. 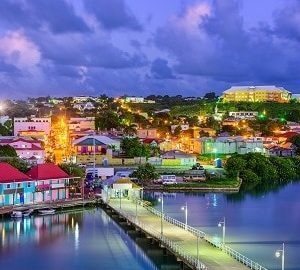 St Kitts is the oldest second passport programme by investment. Applicants investing $400,000 in government approved real estate projects (plus costs) gain citizenship. This grants visa free access to over 100 countries including the UK and Schengen zone. It is also possible to make a government contribution of a reduced amount depending on family size. Processing is slow taking typically 9 months. Antigua offers a similar second passport programme to St Kitts. An investment of $400,000 in government approved real estate projects plus costs gains citizenship. There is visa free travel to over 100 countries including the UK, Schengen zone and Canada. Processing is fast, typically 4 months. Dominica has just amended its citizenship programme to include a real estate option. You can now invest just $200,000 in real estate to gain citizenship and a second passport. 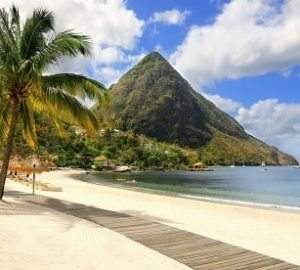 Although offering slightly less countries for visa free travel than St. Kitts or Antigua (over 70), Dominica is a much reduced investment option. Grenada is a new second passport programme and is popular as it has no country restrictions for who it will issue passports to. There are of course strict due diligence checks on each applicant. Invest just $250,000 in real estate to gain visa free travel to over 70 countries including the UK and with the Schengen zone likely to be added soon (expected Q2 2015). Grenada is the only country offering citizenship to parents of any age as long as they are dependent. Processing is fast, within 4 months. There are government fees and associated costs with each of the Caribbean programmes. As a guide these will range for a family of four from $130,000 up to $210,000. La Vida can give a more accurate assessment based on the make up of your family and the particular programme. Please complete your client details here if you require this. Popular countries in Europe for second passports include the UK, France, Germany, Belgium, Switzerland, Italy, Austria, Denmark, Ireland and Holland. However these countries do not offer second passports through investment alone but through other means such as creating and investing in a business. However it is important to note that citizenship and a passport from any EU country allows the holder to live and work anywhere in the European Union.